There’s a reason why estimating a home’s value is a specialized process that’s typically executed by a licensed professional (also known as an appraiser) — it’s not easy to determine the fair-market value of a home in a particular point in time. Dozens of factors influence how much an average buyer might be willing to pay for a specific property, including the overall housing market and economy, interest rates, the condition of the home, its precise location, the gross living area (GLA) or square footage of the home, whether it’s been updated since the last sale, how many homes have sold recently nearby and their sales price, school districts, crime ratings … you get the picture. So how do you know if the price you’re setting as a seller is competitive? And as a buyer, how can you be sure that you’re paying a fair price for a house, especially if it’s one you really want? You’ll need to take a few different things into consideration before you can make that call for certain, and the only way to know for sure is to talk to a professional about it — either an appraiser (which is going to cost money for their time) or a real estate agent you can trust. But if you’d like to do some research on your own, here are a few places to start. If you’ve been thinking about buying or selling a home at all, then you’re probably familiar with Zillow’s Zestimate tool. It’s the real estate portal’s estimated home value based on data and proprietary algorithms, and as Zillow points out (https://www.zillow.com/zestimate/), it’s a starting point for determining a home’s value — but you definitely shouldn’t consider it gospel truth. If the home’s information hasn’t been updated in a long time and the data is incorrect, or if the condition of the house is well above average or below average, or the house is an anomaly of some sort within the neighborhood, then the Zestimate is likely to be off by at least a little bit, and possibly a lot. The Zestimate isn’t the only online home value calculator out there. Some of them are more accurate in some parts of the country than others. A real estate brokerage calculator might be able to incorporate more data points than the Zestimate can access, so you might want to look at local and possibly even national brokerage sites to compare their calculators’ values to the Zestimate and see how they measure up against one another. For example, there are some areas of the country where Zillow might not be able to access listing price of a home if the home was put on the market, sat on the market for a few weeks or even a few months, and then was taken off the market — but a brokerage might have access to that data. There are also transactions that take place before a home is ever listed on the market. Some other home value calculators you might want to check out include tools from other portals (realtor.com’s is here: https://www.realtor.com/sell), lenders (Chase has one here: https://www.chase.com/personal/mortgage/calculators-resources/home-value-estimator), brokerages (Re/Max’s: https://www.remax.com/homevalues/search/ and Redfin’s: https://www.redfin.com/what-is-my-home-worth), or agent tools (such as HomeLight: https://www.homelight.com/simple-home-value). If there are any local real estate brokerages that offer a home value calculator, check those out, too — but remember: There’s a lot these calculators don’t know about the home you’re searching, so consider these numbers a jumping-off point rather than a final answer. Sometimes it takes local home price estimates a few weeks or even a couple of months to catch up to the reality of the market, due to lags in public record data recording and other factors. This means that the market might be heating up or cooling down without getting reported in any news outlets or reflected by home sales data — which means you might not know that the heating or cooling factor is even happening! The very best way to get a sense of your local market is to talk to a local expert, which usually means a real estate agent. They are in the trenches every day pricing and marking homes and negotiating deals, and a trustworthy agent will give you more details than merely, “it’s a great time to be either a seller or a buyer!” However, if you’re not quite ready to involve someone else in your home search, there are some ways you can try to determine which way the market is heading on your own. Keep tabs on the homes that are listed for sale in your neighborhood or ZIP code — this is really easy to do today; you just have to sign up for listing alerts via your preferred portal or even the MLS (multiple listing service). Pay attention to what’s happening to the homes listed for sale: Are they going under contract within a couple of days of listing, for over asking price? This is an indication that you’re in a seller’s market. Are they lingering on the market for a week or two and then selling for just about exactly asking price? That looks more like a balanced market. Or are homes sitting on the market for a few weeks before the seller reduces the price — possibly more than once — and finally sells the home for below the original asking price? That’s a good sign you’re in a buyer’s market. The number of days on market and the list-to-sales-price ratios are good ways you can try to self-determine what kind of market you’re in. The National Association of Realtors and Case-Shiller also put out national numbers on a regular basis that track the housing market, but to see how those apply to your home on your street in your neighborhood, local data is going to serve you best. When an appraiser determines home value, one important tool that helps the appraiser assess the property’s current market value is comparable sales, also known as comps. The appraiser will choose several nearby recently sold homes that are similar to the subject property in terms of number of bedrooms and bathrooms, square footage, lot size, and other factors, and then will use these comps to set an appraised value for the home in question. Depending on how active the market is, how many homes are in the market overall, and how many of those homes have sold recently, this can be much easier for some areas than others. 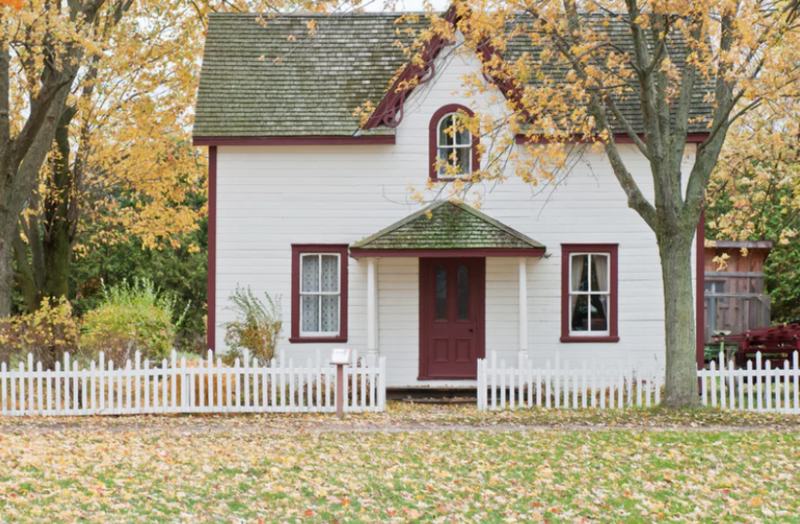 In rural areas where there simply aren’t very many homes at all, finding comparable homes can be difficult — especially if the home in question is one of the biggest or smallest in the area, or has more or fewer bedrooms than is standard. There’s quite a bit of math involved in the comp calculation for home value, but if you’ve been paying attention to listings and sales in your area, then you might be able to do a little bit of it yourself. Give heavier weight to comps that are geographically close to the home you want to value — and be careful not to compare the home in question to other homes that really aren’t very comparable at all; if the home you’re valuing is a 1,500-square-foot three-bedroom two-bathroom, for example, and most recently sold homes are 2,000 square feet and have three or four bedrooms and at least three bathrooms, then you should adjust those comp prices at least slightly downward to reflect the decreased square footage and missing bathroom. This can be hard for sellers especially to do, and when in doubt, consult with a qualified professional to ensure that your comp calculations are on point. One neighborhood and even one block can contain a wide range of homes, both in terms of size and bedroom/bathroom count as well as in terms of the condition of the homes. A new construction home with all the latest upgrades and features will be in much better condition than a tear-down that was built decades ago, and although that seems objectively obvious, it’s tough to swallow if your home is the tear-down — or if your home is simply not as updated or doesn’t have all the amenities of other homes on the block. This is one reason why online home value calculators aren’t always accurate: They haven’t walked through your house and determined how it measures up to the other homes nearby. A home that’s been a rental for the past decade is probably going to be in different shape than a home that’s been lovingly lived in and taken care of by the owner-occupier, who has a vested interest in making sure that repairs are made quickly and the home is kept updated. And it’s probably obvious that a home that’s been involved in a flood or a fire event is going to be worth less than a home that escaped the natural disaster. We’ve already mentioned size a few times, but it bears repeating: When it comes to calculating home price, size really does matter, and the home’s features are equally important. Some sellers might not fully grasp why a home across the street with a similar floor plan is worth several thousand dollars more than theirs, and the answer could be as simple as “it has a better view of the local landmark,” or “the kitchens and bathrooms were all recently updated.” Pay close attention to how your subject property measures up against its neighbors, and be honest with yourself: How much is that extra bedroom in a very high-quality school district worth to a buyer? You might not know until you consult with a qualified professional, but do your best to remove emotion from the process and look at the home objectively, assessing what it has — and what it doesn’t — that might influence the sales price. Even if a housing market is trending downward overall, there are sometimes neighborhoods or blocks within neighborhoods where home price is steady or even rising. This could be due to the area’s proximity to public transportation or major attractions, or natural scenery, or it could be a gentrification factor; sometimes it’s hard to tell from the outside why a specific segment of a market is doing well while the surrounding market is struggling. And likewise, there might be areas that aren’t growing quite as quickly or robustly as the surrounding neighborhood or market — maybe there’s a power plant or another major facility nearby that’s driving down home values, or maybe there tends to be higher crime in one part of the neighborhood than another. School districts can be another big influence on home value. If you’ve noticed that homes in the school district where you live tend to sell more quickly in June or July, and the school district also happens to be among the best in the state, that might not be a coincidence; families could be willing to pay a premium for housing in a top school district. In most of the country, home sales tend to be most robust in spring and summertime, and they tend to taper off in the fall and winter. This isn’t true everywhere, but if it seems to be true in your area, then timing might be a big factor when determining home value. Think about how appraisers use comps to assess a home’s value — if there are more home sales in spring and summertime, and fewer in fall and winter, then you might find some outliers or anomalies in terms of sales price in the “off” seasons. Supply and demand also have an effect on home price, and in a season when there aren’t as many buyers but just as many homes on the market (like the early fall), you might see more price reductions as sellers work to entice the existing buyers to look at their particular home. If you don’t know how seasons affect home sales in your area, see if you can get your hands on several months’ worth (or even a year’s worth) of home sales information and track it yourself. Otherwise, a real estate agent is a good resource for determining how seasonality might affect a home’s value. Homeowners have to pay property taxes, which is based on the value of their home as assessed by the city or county where they live. These assessments are usually not as up-to-date as a comp analysis, for example — cities and counties don’t assess home value for taxes every year; it’s more likely to happen every three to five years, but that span of time really varies depending on the area. However, if the home has been assessed relatively recently, then looking at the taxable value and assessment can help you determine whether the sales price is on point or way off base. The best way to incorporate this into your consideration of price is to compare it to similar nearby homes — a tax assessor doesn’t use all the same processes and procedures to determine home value that an appraiser would, so it’s unlikely that an assessor is going to hit the nail on the head, but tax assessments are worth looking at nonetheless. The local economy can have a big impact on home prices — consider the San Francisco Bay Area as an extreme example, where there are lots of big employers in tech who can afford to pay their workers much higher than average wages, which entices some of the best developers and engineers to work for them instead of a competitor. This has certainly been a factor in driving home prices up in the region because there are lots of buyers who can afford to spend seven figures on a home that would be considered average in other parts of the country. If the availability of jobs or good education in your area is slim, then you should expect home values to remain relatively low — but if there are lots of great opportunities in terms of either school or employment, then that’s an indication that home values might stay stronger than in other parts of the country. You can find local employment statistics through outlets like the United States Census Bureau, but they might not be entirely updated; you can also keep tabs on what’s happening with business and education through local news publications, such as a regional or local business journal or education outlet. Even the local chamber of commerce might have information for you that can help you assess the market, from new developments or businesses coming to town to which long-standing companies are closing up shop. The buyers. A home is worth what a buyer is willing to pay for it, and some buyers might be more motivated to buy certain properties over others. If a house reminds a buyer of his or her childhood home, that buyer might be willing to pay over asking price in order to raise kids in an environment that feels similar to the one where they grew up. Or if there’s a certain feature or amenity in the home that’s rare in the neighborhood and very important to one specific buyer, that buyer might be ready to spend more on that home. The number of buyers in the area, the attractiveness of a specific home, and the buyer’s ability to pay what the seller wants (or more) will all factor into the home’s eventual sales price. Pinpointing buyer motivation can be difficult for both buyers and sellers, and the best way to do it is by consulting a real estate professional who works with buyers every day and knows what’s hot and what’s not — in other words, a real estate agent.